I thought this is GSM Arena. What is this CDMA phone doing here anyway? Leonardo, 13 Oct 2010Dear friend, as far as I know, Droid is the same as Milestone the difference is that Droid is... moremy friend, the phones, both of them exist already., now is coming the droid2 global(beginning of november), wich would be cdma/gsm for verizon usa and i believe then the world. ** for the first post ** you use the keyboard you prefer phisical or onscreen, all depends you! does anyone know if you have to use the slide out EVERY single time you want to type something? even if its something short and quick like a word in the search box or a phone number, or can you use an onscreen keyboard if you dont want to keep opening and closing the phone? as far as I know, Droid is the same as Milestone the difference is that Droid is for USA networks and Milestone for GSM networks. 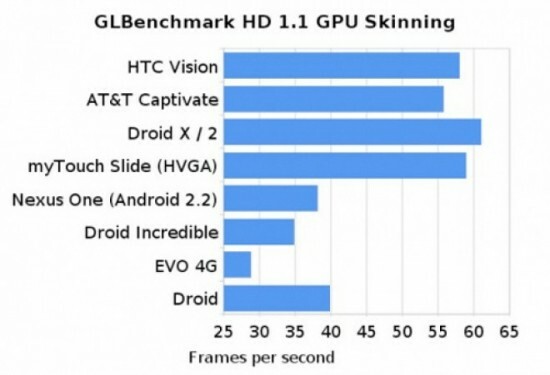 Same difference between Droid2 and Milestone 2 (wich doesn't exist so far...). is there any unlocked droid 2 that could be used in gsm?!!!!!!!!!!!!!!!! what is difference between Droid 2 and Milestone 2 ? who can help me,please? i couldn't find something clear by comparison of their specification in this site!!! there is a guy in my country, he has 1 and it works with a gsm chip.. he got it in a store on the south side of trinidad.he paid $3000.00 tt dollars( about us $500.00)it works just find.yet still i would go with the n900..
Let e know when it uses a chip.. Anonymous, 09 Sep 2010what is the difference between the droid 2 n milestone 2 ? the spec sheet is pretty much the sameThe original Droid versus the Milestone had the diference on the multitouch ability (on the Milestone). Maybe they still have that diference. I haven´t looked closly to the specs yet. The milestone works on the GSM network while DROID 2 is locked on a CDMA network. If anybody want 2 buy a Android device then i think,it will be da best still now.ADOBE 10.1,HD video,HD screen,CAMERA 5mp ok,2.2 os froyo.